What are the layers of the eyelid? What are the paraorbital sinuses? Here are some questions to help you study. 1. What is the structure of the cornea? Name the layers. 2. 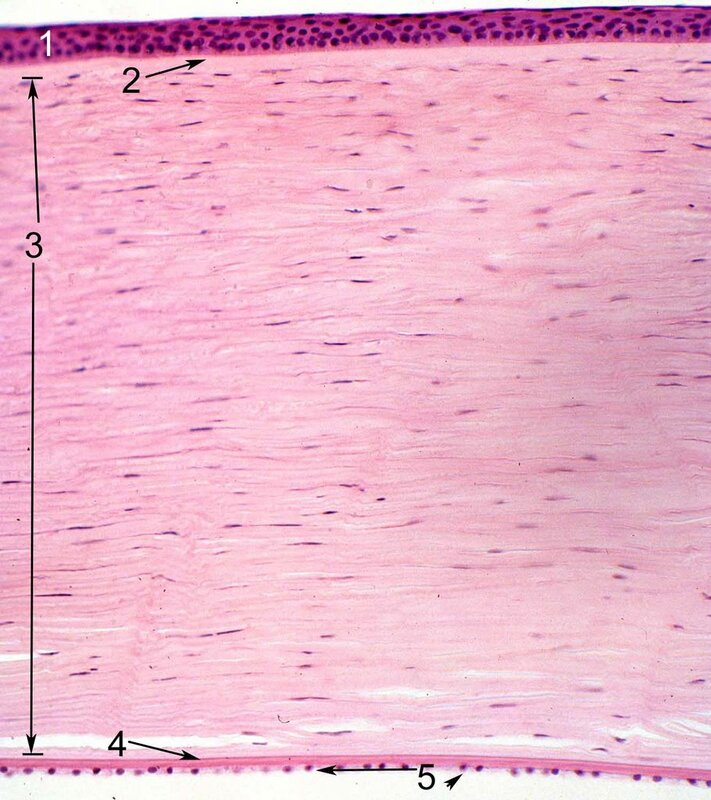 Name each of the cell types within the corneal epithelium. 3. What is the composition of Bowman's layer, Descemet's membrane, and the stroma? 4. Why is the cornea clear? 5. What causes the cornea to become cloudy? 6. What is the function of the corneal endothelium? 7. How thick is the central cornea? 8. How thick is the peripheral cornea? 9. IDENTIFY THE LAYERS OF THE CORNEA THAT ARE NUMBERED. The answers are provided in the link.